Mr Han Wu is an associate of the Antitrust and Competition Division at King & Wood Mallesons. He currently provides legal services with regard to antitrust issues, such as representing clients to obtain antitrust clearance from MOFCOM; providing antitrust compliance advice on business models, distribution arrangements, pricing policies, etc; providing antitrust trainings to clients; advising clients in antitrust administrative investigations; advising clients in abuse of dominance litigations; advising clients of deal structures from the antitrust perspective; advising client of competition strategies; representing client in anti-unfair competition administrative proceedings; providing anti-unfair competition advisory services. Mr Wu has advised clients in industries such as mining, agriculture, automobile, beverages, high-tech, trading, manufacturing, semiconductor, pharmaceutical, energy and natural resources, industrial equipment, consumer goods, and electronic appliances. 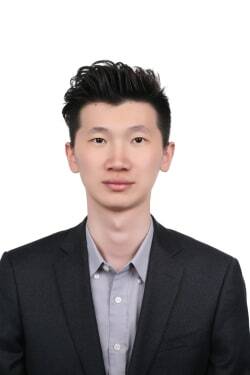 After working in another law firm for two years, Mr Wu joined King & Wood Mallesons Beijing office in 2011. He is currently working in King & Wood Mallesons London office. Mr Wu holds both Juris Doctor and Master of Law degree from Peking University in Beijing. Mr Wu is qualified to practice as a PRC lawyer.